We may now know exactly when Super Mario Maker 2 will release on Nintendo Switch, after the course-constructing sequel was revealed in last month’s Nintendo Direct presentation. GameXplain reports that Amazon UK has started to notify customers that have placed a pre-order for the Nintendo Switch exclusive in which they explain that they are expecting it to be in stock on Wednesday 12th June, for delivery on Friday 14th June. We will need to wait until Nintendo confirms a release date, but that would see the game land at retailers as E3 2019 comes to a close – which runs between Tuesday 11th – Friday 14th June. 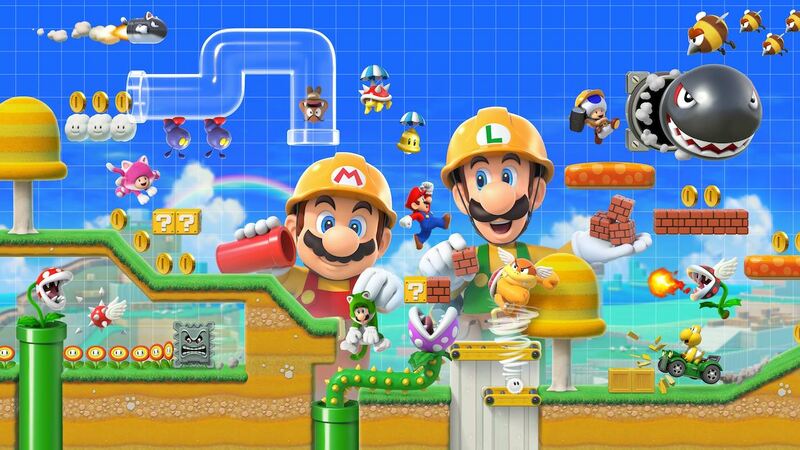 In Super Mario Maker 2, you will once again have the chance to play, create and share your own Super Mario courses, with access to even more tools, items, and features that in the original Super Mario Maker – which went on to sell more than four million copies worldwide on Wii U. The game’s creation tools will let you surprise and frustrate other players around the world with your mischievous and devious designs, with more news promised about this sequel in the coming months.